Antminer S7 on sale - Antminer Distribution EU - €499,- VAT incl. Note: Payment can only be done in bitcoins. Note: Shipped out within 48 hours after payment is received. Note: Order without VAT (0%) with a EU company VAT number. Note: Up to one year warranty instead of 90 days. We are pleased to introduce Bitmains latest miner, the Antminer S7. 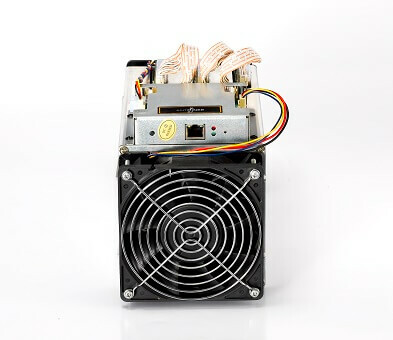 This powerful machine features a small form factor, like the previous Antminer S5, while utilizing the denser hash board arrangement of the more recent S5+. 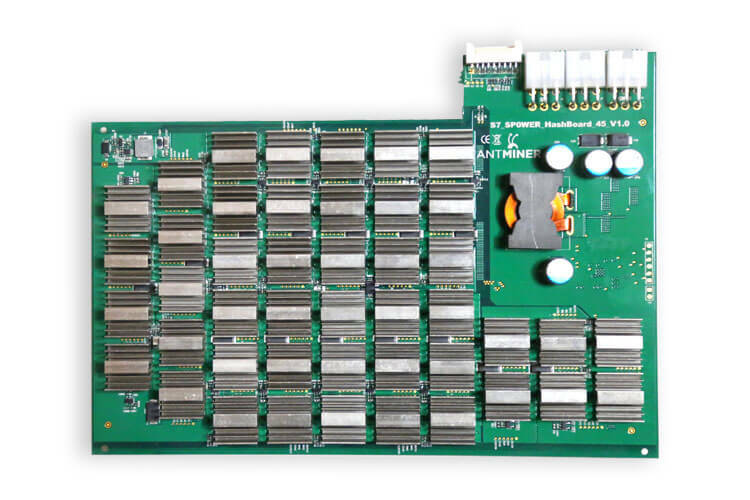 This is the first product to use the recently announced BM1385 chip. This chip is not only more than twice as power efficient as the BM1384 chip before. But is also the most power efficient chip available to consumers today. 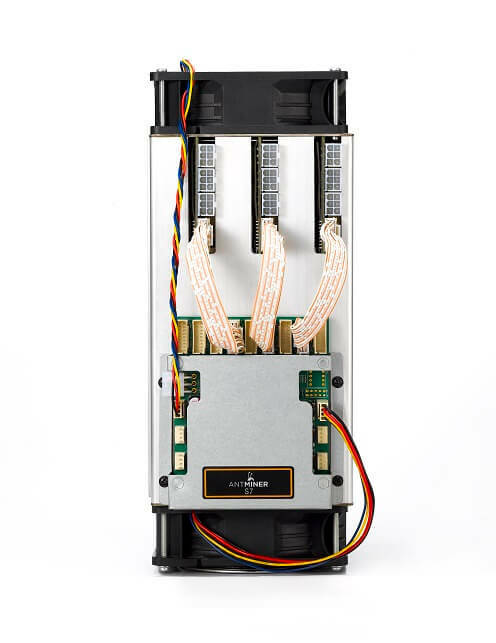 The Antminer S7 has a more dense configuration than previous Antminer machines, using 162 chips in the same space that the S5 used only 60 in. 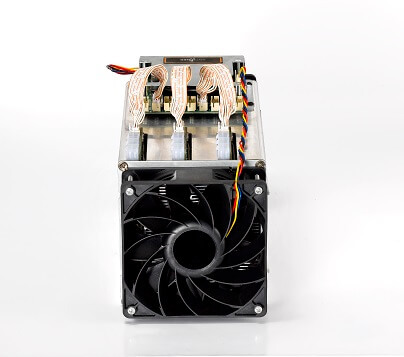 The Antminer S7 uses just 1.290 watts of electricity to deliver a powerful 4.73 terahashes per second of pure mining power. PSU: A power supply unit is not included, and you will need to provide an ATX PSU. There are 3 PCI-e connectors for +12V DC input on each hashing board and all 3 are required. Do not connect more than one PSU to the same hashing board! We recommend the APW3-12-1600-B2 power supply for use with the Antminer S7. 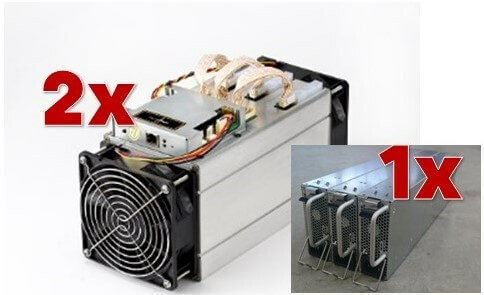 One power supply supports one Antminer S7. Separate power supply to control board: there is one additional 6pin PCI-e connector on the IO board which must be connected to the PSU to get power. If you use different PSU for hash boards and control board, please make sure to power the hash boards first and the control board only after the hash boards have been powered. 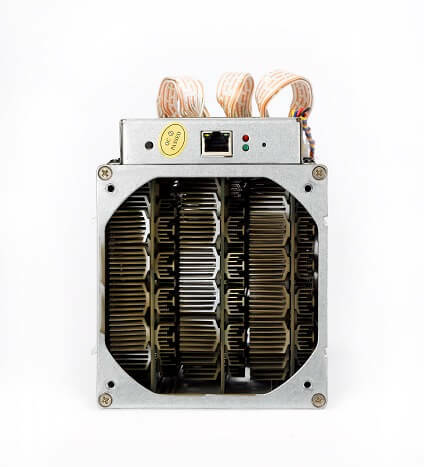 The Antminer S7 is not only our most efficient ever, using less than half the energy per gigahash of the S5, but it is also our most powerful miner to enter mass production (the S5+ had a higher hashrate but was sold on a limited basis). At 0.25 joules per gigahash, this is the most efficient machine available to the bitcoin mining public. 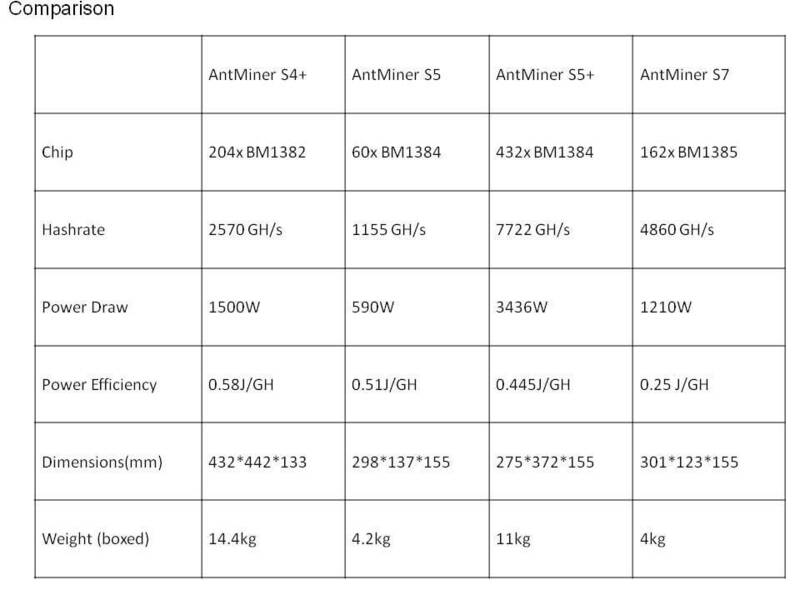 In this table you can see the comparison of the different antminers. The shipment cost is about €20,- all over Europe. The delivery time for your country can be found here.